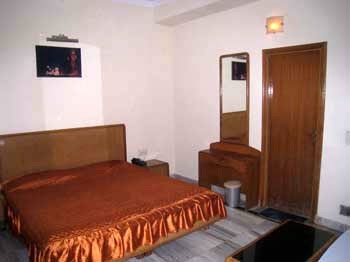 Hotel Har ki Pauri offer fine stay in Haridwar, overlooking the holy Ganges, the hotel has a scenic surrounding. The hotel features world-beating comforts with an inspiring design. Lift is operational round the clock. The Ganga ghat is just a few minutes walk from here. You can easily observe the Ganga Aarti at the ghat in Hari ki Puri during your stay at the hotel. The hotel is situated opposite to the bank of Holy river Ganga, a popular destination among Hotels and Resorts at Haridwar, with an extra touch in style, comfort and service. The hotel offers panoramic breathtaking views of Ganga, offering an extensive variety of services in Haridwar. Har ki Pauri is located very close to the famous Har ki Pauri of Haridwar (just 1 minute distance). The City center is 2 kms, Railway Station and Haridwar Bus stand is 2 kms, Jolly Grant Airport is 38 kms, Rishikesh is 25 kms and Mussoorie 90 kms from the hotel. 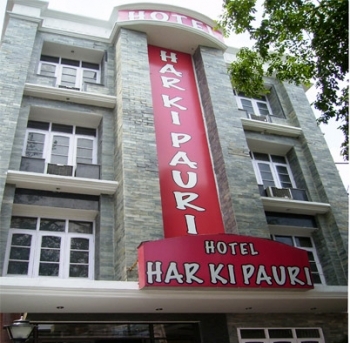 Hotel Har Ki Pauri has 23 AC and Air-cooled rooms, in a variety of categories Luxurious a/c & air-cooled with attached bath. Beautifully furnished and designed, they have all the modern amenities. Attached bathrooms, hot and cold water 24 hrs., Intercom, cable T.V. and 100% Power backup, Car Parking. There is multi cuisine inhouse restaurant in Hotel Har ki Pauri which offers delicious vegetarian food.